straightforward, epically complicated, big or small is made more fulfilling and memorable by those people who you meet along the way - those who guide you, those with whom you share a smile, a laugh,a joke, a tear, an embrace, a lesson learned. There are journeys where these moments play out against a backdrop that is as spectacular and poignant as the moment itself. 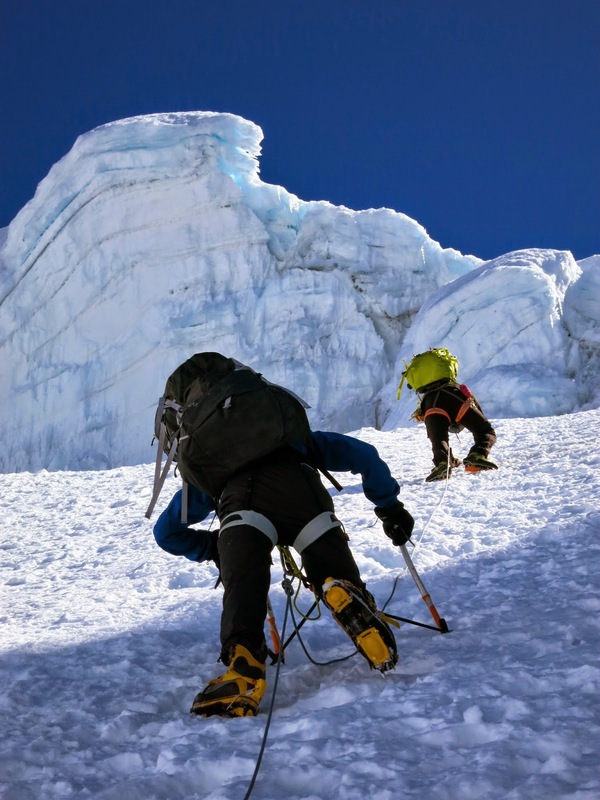 My journey began long before I stepped off the plane in Peru and long before the 2am 'alpine start' setting out for the summit on the south-west flanks of Alpamayo. It's hard to find the words that capture this particular expedition in its entirety. Whist the mountain is certainly one of the most beautiful I've ever seen and every sunrise and sunset seems to top the last in terms of jaw-dropping beauty, what really stands out has been the entirety of the journey itself and the people that I've met along the way. My Peruvian adventure started months ago through initial conversations with fellow mountaineers, climbers and guides around objectives - climbing for aesthetics, building of skills, and personal discovery rather than a pre-determined bucket-list. Additional ingredients to the mix were elements of discovery, exploration and the pushing of personal boundaries... a stronger, more solid foundation of skills, fitness, experience. Yes, I'm 'high maintenance' and yes, one would call this a long 'shopping list' of requirements but with a solid foundation of experience already under my belt I knew that I'd soon embark on the journey that would best fit the bill. Thanks to Alpenglow Expeditions it wasn't long before I had the mountain in my sights. I'd never been to Peru, Alpamayo is aesthetically gorgeous, the team was small and experienced, and the terrain was the perfect ground to build upon skills and experience. Staying motivated to train for any physical challenge and striking a delicate work-life balance can be as precarious as the challenge itself. Alpamayo provided the perfect testing ground to push physical boundaries and training discipline from the relative comforts of sea-level and prompted the opportunity to meet some fantastic people along the way. Working around a hectic work schedule, I trained for my climb at The Fitzroy Lodge Amateur Boxing Club (ABC), a non-profit, charitable club, run by volunteers and supported by donations, grants and member subscriptions. The overarching aim of the boxing club is to offer a safe environment for boxers to train and compete in the sport of amateur boxing, by teaching boxing skills engendering discipline, respect, honour, self-control and a healthy life style. Without a shadow of a doubt, combined with an active mountain-lifestyle, boxing has provided me with a fantastic base level of fitness and the combined physical and mental strength to put one foot in front of the other on long, sometimes painful and seemingly endless snow-slogs. Boxing is perhaps not viewed as conventional 'mountain training' but the mental and physical elements between the two sports are not dissimilar. Furthermore, the encouragement, respect, and discipline that I have gleaned from the trainers and fellow boxers has taught me some tremendously valuable lessons that will remain with me forever and carry over into both work and play. A fundamental part of every climb, project or challenge is the team itself - the sum being the whole of its parts. Those people who go from being strangers one minute to your closest confidents and friends the next - even when separated by the perceived barriers of language and culture. 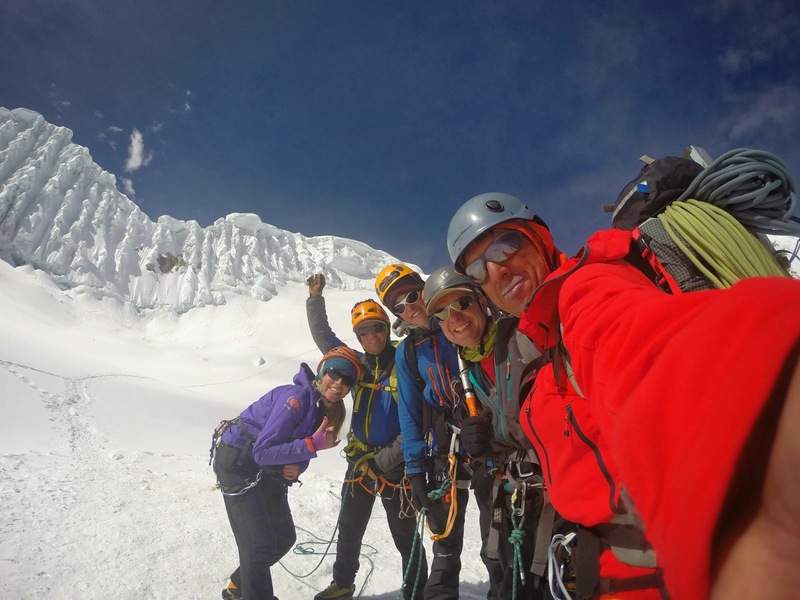 Our intrepid team on Alpamayo was made up of Americans, British, Ecuadorians and Peruvians... Certainly not to be overlooked and central to its success were our Peruvian team mates led by Alfredo (cook, interpreter, middle-man, father-figure, horse-whisperer...) and his side-kicks, Julio and Pablo who cared for us all the way to high camp and greeting us every morning from under their giant brown Peruvian hats and with the biggest and brightest of smiles calling out 'Buenos dias seniorita..!' Without their endless energy our individual journeys would have been significantly steeper and the mountains would have been much higher. Cashapampa is the small mountain village and physical starting point of the expedition and set the scene for our meeting with Tony, his wife and children and their burrows which would support us in our trek to Alpamayo Base Camp. Expeditions require a phenomenal amount of logistics support to get people and equipment from Point A to Point B. The carefully managed train of mules and horses leading us into and out of Base Camp in wind, rain, snow and sun provided us with a unique insight into life of local Peruvian farmers and 'living off the land'. It was beautiful to see the smiles on the faces of Tony's children as they proudly welcomed us into their home for a hearty and welcoming lunch. Growing up on a farm in Canada, it was fascinating to get this unique local insight and experience as chickens, pigs, guinea pigs, cats and dogs formed an integral part of 'country life' against a backdrop of maize in the rolling hills, stone-wall enclosures, mud-brick houses and warm smiles. Upon our return from the mountain and back in Huaraz, we were fortunate enough to meet the wives and children of both Julio and Pablo and participate in a traditional feast of 'pachamanca'. Dating back to pre-Hispanic times, pachamanca comes from Quechua language: "Pacha", earth, and "Manca", cooking pot, which could be translated as "earth oven". Widely used in times of the Incas civilisation, Pachamanca is very related to ritual. Pachamancha is a dish (most often including potatoes, corn and meat (beef, pork, lamb, guinea-pig) buried under the ground and cooked over hot stones for about 2-3 hours. It is then eaten with a great fanfare of music, dancing and celebration - and a 'cerveza' or two..! More than a method of cooking it's a celebration in and of itself, a source of fertility and life. The feast was a fantastic way to celebrate the success of the expedition and draw our time in Peru to a close. I will eventually write a more detailed synopsis of the climb, the teams success on the mountain, our route and the movement between camps but wanted to capture in this blog a bit about the 'essence' of why I love to climb, the basis upon which my memories are formed. In many ways, my climbing experience and passion is best represented as a quilted mosaic of people, mountains, and experiences. Climbing, for me, has become more of a journey and less of a destination and I look forward to adding yet another patch to that quilt. Onward and upward to the next adventure..! Because every blog needs a cat picture... Tony's daughter and cat in Cashapampa. Alfredo desperate to take the bright pink polish off of my hands (and amputate chronically cold fingers). Without the awesome support of our guides the mountains would be much higher. An alpine start setting out for the summit. View looking back from pitch 6 or 7 on the face... bravely captured by Charles and Jaime. Alpamayo in early afternoon light with perfect view of fluted SW face. Acclimatisation walk around High Camp. Climb up to High Camp.